Agile Environmental Protection Group has invested in and operated not only single environmental projects but also comprehensive platform of environmental services. 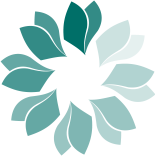 For years Agile Environmental Protection Group has always led the industry,and set up the Comprehensive Platform of Environmental Services creatively , which links research results from universities, gathers capital power and remove the industry barriers. 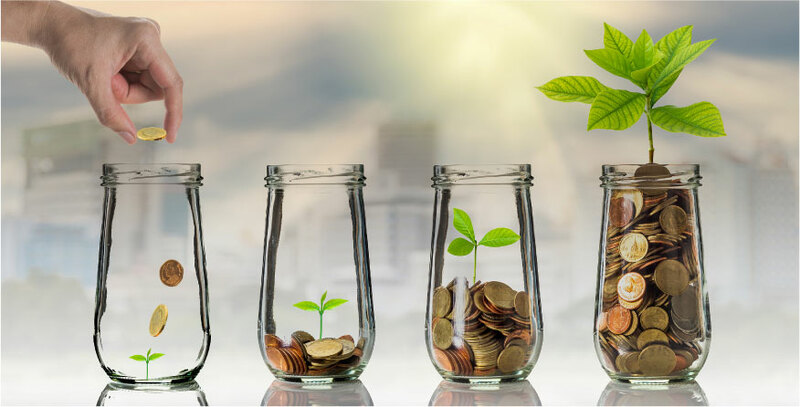 The platform opens the channels for technology, capital and enterprises needed by environment services, and provides all-around solution of environmental services for cities and towns to share resource and realize multi-win-win situation in the maximum extent. 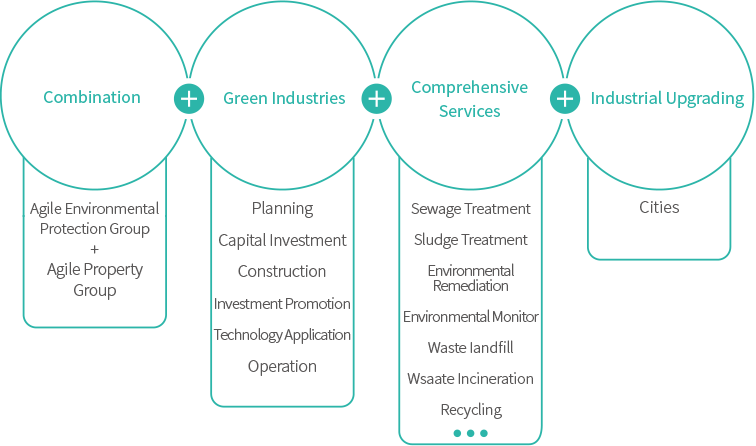 The requirement of city-level environmental services is systematic and diverse. The group cooperated with enterprises and scientific research institutes by many ways. 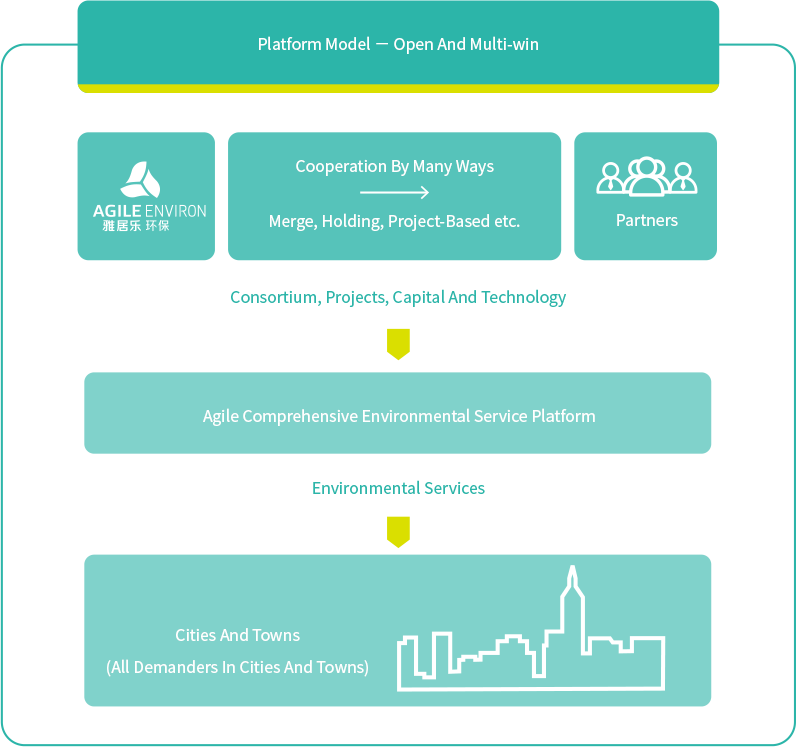 Consortium, projects, capital and technology are gathered on the platform and provide comprehensive environmental services for cities and towns. The third-party enterprises can come into the platform alone and provide environmental services for cities and towns independently. 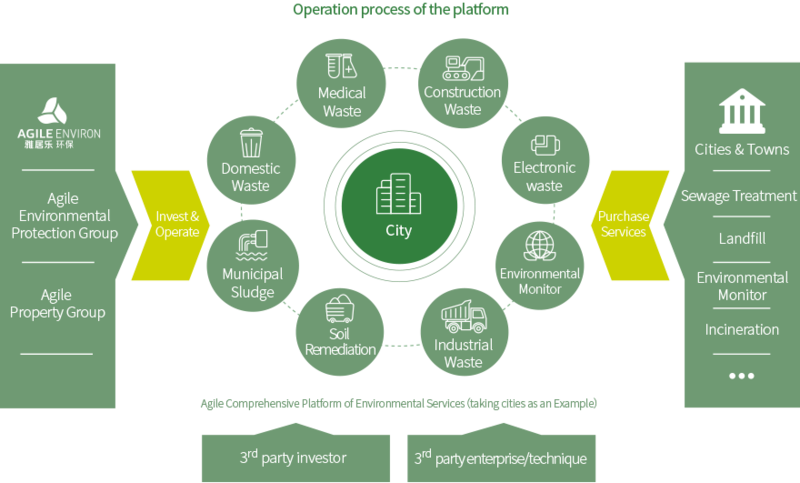 With the requirement for cluster of urban environmental services, the platform of the group combines the advantages in real estate and environment protect through the innovative models of “Environmental protection+ Propetrty industry”; It also constructs emerging green industries in cities to support upgrading urban environment，even industrial upgrading and economic transformation by the way of investment, financing, planning, etc. In June 2016, Agile Environmental Protection Group signed a strategic financial cooperation with ICBC Guangdong Branch with the credit of 10 billion RMB. 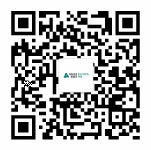 Meanwhile, Agile Environmental Protection Group had close cooperative relationships with China Bank, China Construction Bank, Agricultural Bank of China, China Merchants Bank, CITIC Bank etc.